Summer Vacation Rentals... Please call 609.522.4999 today! so check back often or bookmark this page to keep on top of the most current special events! Ceremony begins on the steps of North Wildwood City hall (10th & Atlantic Avenues) at 11:30 a.m. Parade begins at noon and proceeds north on Atlantic Avenue to Olde New Jersey Avenue. FREE. 609.522.2955 or http://www.northwildwood.com. St. Patrick's Day Block Party on Pacific Avenue, between Spencer and Lincoln Avenues, Wildwood. 9 a.m. - 10 p.m., rain or shine. There will be a giant heated tent along with a face painter, balloon artist, stilt walker, vendors and games, as well as live entertainment. More details to be announced. For more information call 609.522.3800 or visit http://www.WildwoodStPatsDay.com. Wildwoods Convention Center. Sat:10 a.m. - 5 p.m. Health and Fitness Expo. Runners are asked to check in while having the opportunity to shop for the latest in runner's gear and accessories. Sunday 9 a.m. marathon and 10 mile running events. 609.523.0880 or http://www.odmarathon.com. Noon until 5 p.m. in the Oceanfront Exhibit Hall at the Wildwoods Convention Center. Brides have the opportuniy to meet face to face with wedding professionals and find everything you need to create the wedding of your dreams! All registered brides are eligible to win a 5-day, 4-night all-inclusive honeymoon at The Royal in Playa del Carmen in Riviera Maya, Mexico courtesy of Berman Travel. FREE admission, FREE prize drawings, FREE gift for pre-registered brides! On the beach at 19th Avenue, North Wildwood. Noon. Children 11 and under can pick up eggs and collect prizes. Free. 609.729.2170. On the beach at Lincoln Avenue, Wildwood. Noon. Children ages 1-12 are invited to dig for eggs buried in the sand. Each egg contains a toy and a golden egg is worth a bigger prize. Rain date 3/31/2013. 609.729.5501. On the Boardwalk at 23rd Ave., North Wildwood. FREE - children 12 and under win prizes. 12:30 p.m. - 2 p.m. 609.729.3223 or http://www.edsfuncade.com. Morey's Piers opening day celebration boasts fun for the kid in all of us including rides, food, entertainment and "Pick An Egg" for the kids. Pier open 11 a.m. to 5 p.m. 609.522.3900 or http://www.MoreysPiers.com. Event details subject to change... check back often! WILDWOOD MEMORIES BEGIN WITH A WILDWOOD FAMILY VACATION IN AN ISLAND REALTY GROUP FAMILY FRIENDLY RENTAL! 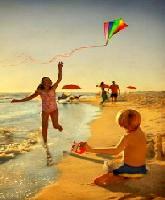 100'S of Beautiful Homes and Condos located close to the beach, boards and amusements! Island Realty Group is a full-service Real Estate Brokerage licensed to provide real estate services in the State of New Jersey. 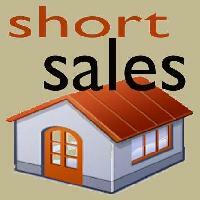 We are a leader in Short-Sale and REO/Bank Owned Property Sales in the Wildwoods and throughout Cape May County. BuyWildwood.com puts Wildwood, North Wildwood, Wildwood Crest and Diamond Beach New Jersey Real Estate listings for hundreds of homes, condominiums and investment properties for sale at your fingertips. Each real estate listing provides comprehensive details about the property so you have a clear picture of what features and amenities are included. BuyWildwood.com goes beyond real estate listings, however, with access to real estate tools and resources such as calculators, moving guides, real estate buying tips, moving and self storage information, even home insurance. We even have an extensive real estate library where you can read up on important real estate facts and details such as settlement and foreclosure terminology. 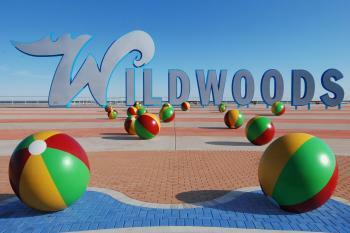 BuyWildwood.com provides you with everything you need to find the perfect home for you! BuyWildwood.com is the official Wildwood Real Estate website of Island Realty Group, a Real Estate Brokerage specializing in sales and rentals of South Jersey Shore Residential, Investment and Commercial properties from Ocean City to Cape May New Jersey. 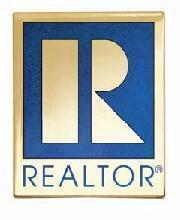 To help educate both Buyers and Sellers with their real estate needs, BuyWildwood.com also offers comprehensive real estate guides, real estate news, mortgage calculators, links to real estate market conditions, and of course information about Island Realty Group and its team of seasoned agents. If you are in the market for a home, condominium or investment property at the South Jersey Shore Island Realty Group is the Realtor of choice.